This story has been updated to clarify a quote from Lions running back Kerryon Johnson. Matt Patricia is in danger of losing his players. This was my main observation from three days of minicamp this week. The Detroit Lions’ rookie coach wants things done his way. And his way means running as punishment. Lots and lots of running. That’s not likely to endear him to his players, many of who whom are experienced professionals who don’t need or care to be treated like junior varsity tryout players. Patricia’s tactic smacked of amateurism and even though it was generally downplayed as an innocuous slap on the wrist, I can guarantee you most players don’t care for it. For one, it’s insulting at this level. For another, it’s a waste of time. Imagine you’re a roster-bubble player and you’re having a good practice and ready for your next rep when Patricia decides to get mad and makes everyone run, thereby cancelling one of your reps. How exactly does that help anyone? The usual way players are corrected is they get chewed out by their position coaches. Even Jim Schwartz (who thought he was the smartest man in the room) and Jim Caldwell (who knew he was the smartest man in the room) didn’t punish players with running very often during minicamp or training camp. The running, on its own, won’t lose players for Patricia. But you have to assume if he’s using these tactics in front of reporters, he could be using others privately that are equally distasteful to players. And don’t think I’m in favor of coddling modern-day pro athletes with inflated paychecks that match their egos. Hall of Fame linebacker Mike Singletary loved the old-school penance. I’m guessing Singletary probably also thought Bear Bryant was too soft on the Junction Boys. But this is a different era, with restricted practice time teams need to use judiciously. Patricia needs to find a way to prove his point more efficiently, or else he runs the risk of alienating players before the season starts. OK, that’s a little extreme. But Papa Coach definitely made some reporters nostalgic for the “check the report” days after Patricia’s constant flow of non-answers this week became increasingly frustrating. Patricia gave few straightforward answers in all three of his prepractice morning news conferences. He offered almost no information on important topics like the national anthem, Ziggy Ansah’s health and contract situation, or Nick Bawden’s injury. There will always be an information tug-of-war between reporters and coaches. 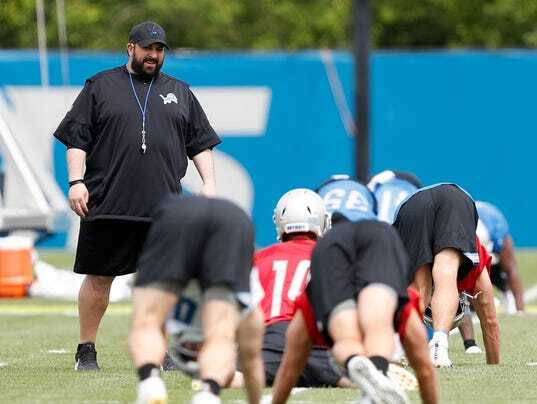 But the lengths to which Patricia went to avoid answering even simple questions like how veterans are adjusting to his coaching style was perplexing and frustrating. 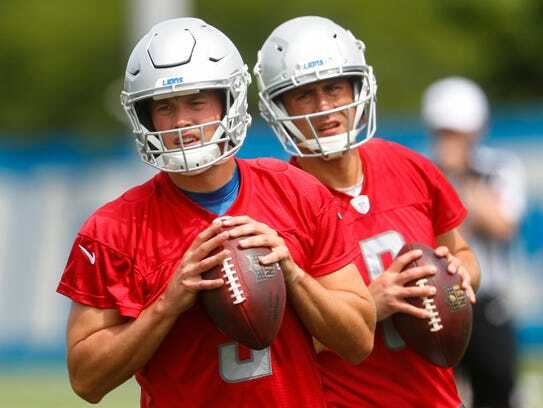 The Lions are trying to remake themselves into a replica of the New England Patriots as a battened-down, tightly run organization. Every week it seems something, or someone, gets altered. It’s almost a laughably silly idea to think what works for Bill Belichick in Foxborough would work for anyone in Allen Park. Matt Cassel is my leader in the clubhouse in the fight with Jake Rudock for the No. 2 quarterback spot. Cassel looked a little better than Rudock and took more second-team snaps. But it’s also clear that Patricia respects Cassel as an experienced veteran he trusts. And that makes sense because if Matthew Stafford goes down, and Cassel or Rudock have to start or play significant minutes, wouldn’t you choose the guy who’s faced that situation before and still won 10 games and led his team to the playoffs? But Stafford still looked miles ahead of both of his backups with his arm strength, touch and accuracy. Of course, that’s how he should look for what he’s getting paid and because he’s playing with the first-team offense.